subject March 4, 2014 Four whale sharks! Monitoring boat found four whale sharks on today. 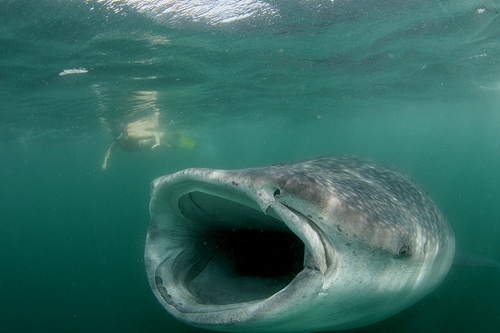 The whale shark open his mouth on water surface and swallow lots of plankton.